Jag finally revealed the complete global engine lineup, but still no mention on which ones are U.S.-bound. 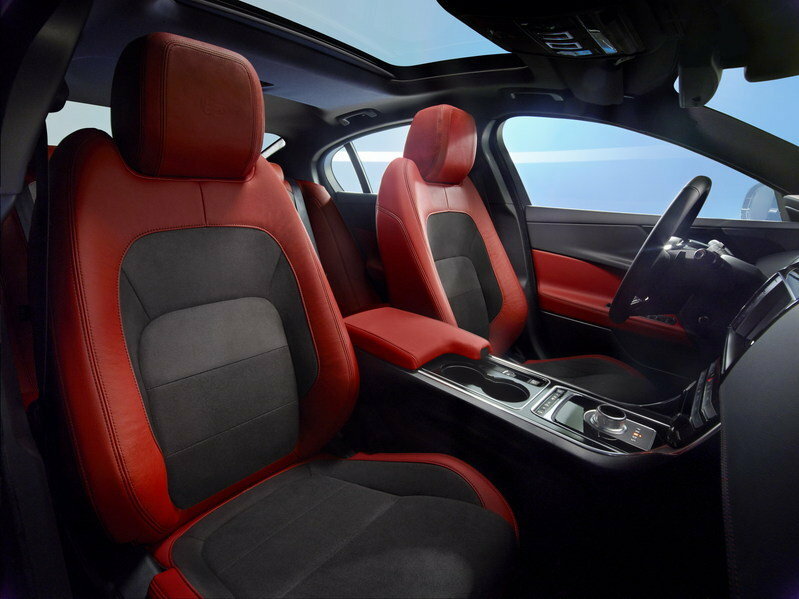 After months of rumors, teasing and other details surrounding the all-new Jaguar XE, it is finally official, as Jaguar unveiled it on September 8, 2014. Marketed as the British answer to the BMW 3 Series, the XE looks as if it will take on the 3 Series lineup from top to bottom. At the official reveal, Jaguar turned much of its attention to the XE S, which is obviously the answer to the BMW 335i and Mercedes C400, but there is also a collection of smaller diesel and gasoline engines for the lower level trims. The only model that Jaguar failed to talk about was the answer to the C63 AMG and M3, which should wear either an "R," "R-S," or an "SVR" badge. This new car is the first that is built using Jaguar’s all-new aluminum architecture that was previewed with the C-X17 Concept SUV. Jaguar has been building aluminum-intensive cars for over a decade now, but this move further reduces the weight of Jaguar’s many offerings. 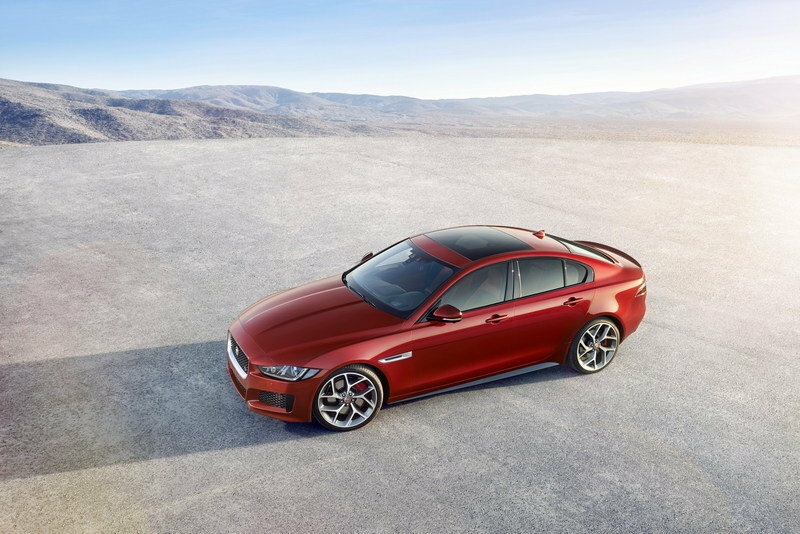 The new XE, which will likely be the backbone of Jaguar’s sales once it hits showrooms in 2015 — U.S. availability is 2016 — is the first big step the company is taking toward a lineup that will include lighter and fuel-efficient, yet powerful and sporty vehicles. 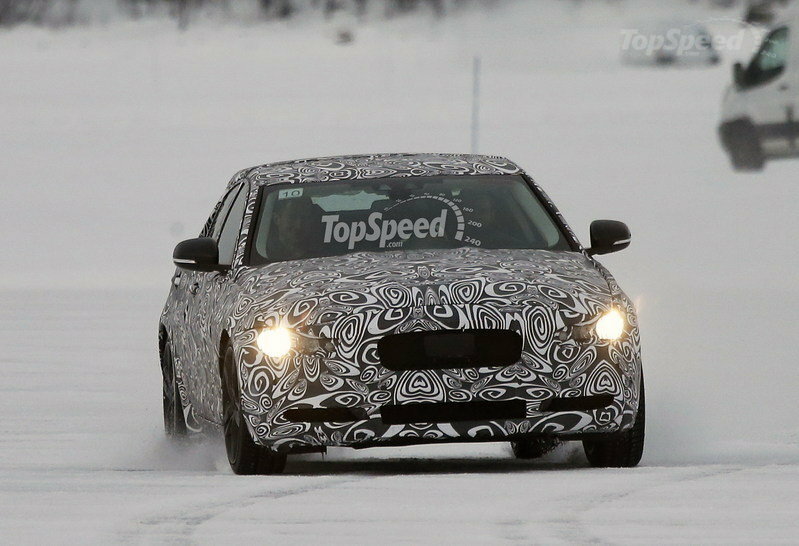 Let’s have a closer look at the brand-new XE right after the jump. 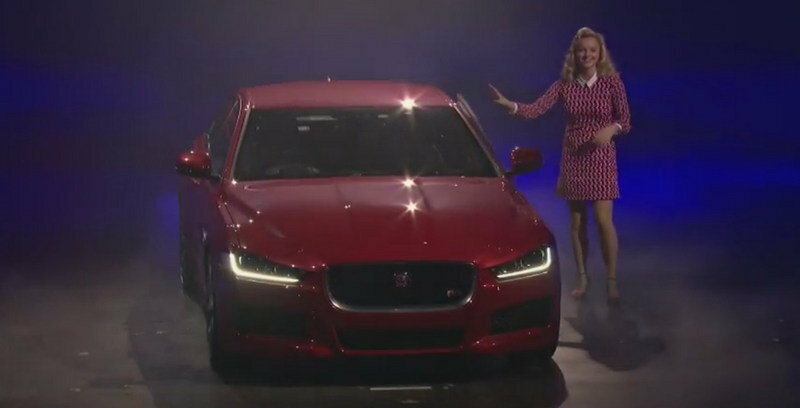 Updated 11/19/2015: Jaguar XE made its North American debut at the 2015 Los Angeles Auto Show where it was unveiled with AWD and Apple Watch Connectivity. 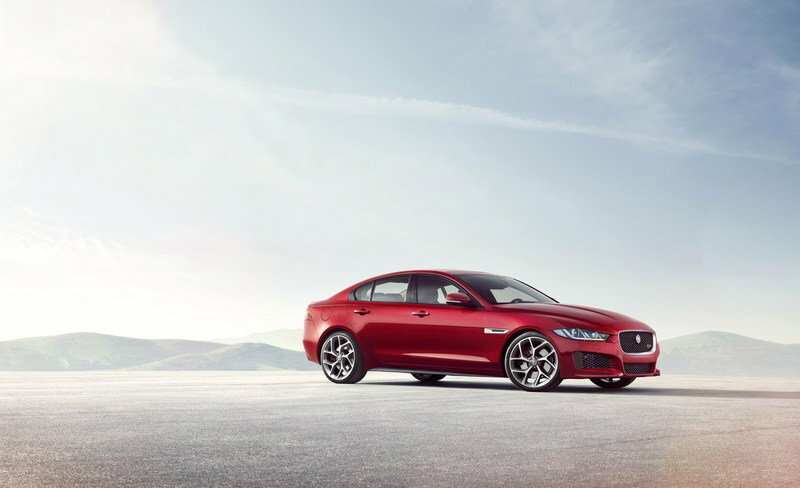 Click past the jump to read more about 2017 Jaguar XE. Design-wise, the XE is everything we expected from a sports sedan aimed at the BMW 3er. It has a long hood, a short rear end and coupe-like roofline that is apparently inspired by the XF. Overall, the sedan’s lines are deeply sculpted, although the profile lines are rather soft. The front end is highlighted by narrow headlamps and the large grille, while prominent air dams — likely reserved only for the XE S — occupy most of the bumper. Around back, the XE borrows yet again from the XF, especially in the taillight and bumper areas. That said, it’s more than obvious that Brits sacrificed the XF’s elegant lines in favor of a sportier appearance. The brand-new design comes with an impressive drag coefficient that sits at only 0.26. The standard model rides on 17-inch wheels, but options include anything from 18- to 20-inch rollers. Various wheel designs are also available. 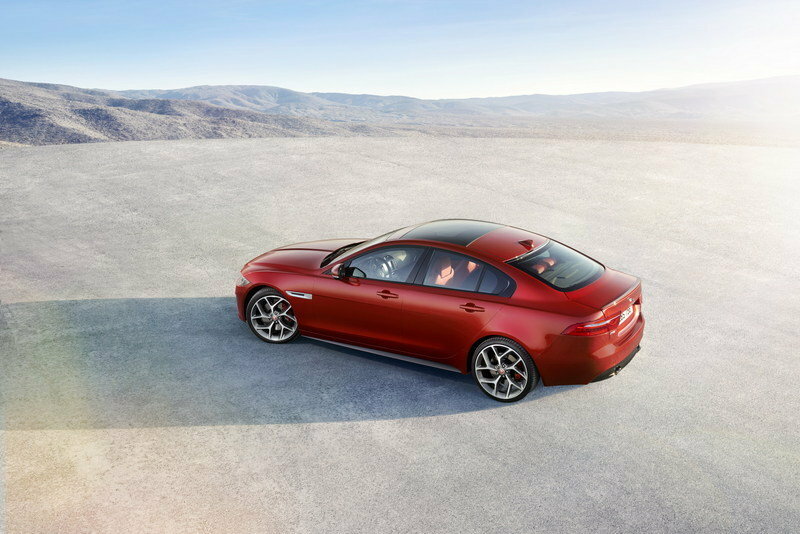 Just like the rest of the Jaguar lineup, the XE has been developed using stiff, bonded and riveted aluminum structures, an aerospace-inspired technology that leads to impressive weight loss. Designed around a new modular platform, the XE’s structure is mostly made of lightweight 6000-series aluminum. Specifically, 75 percent of the unibody is crafted from the lightweight metal, which enables it to deliver extraordinary torsional stiffness. 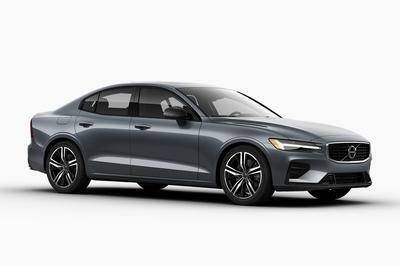 Additionally, the sedan also makes use of a new grade of high-strength aluminum that features a high level of recycled material. 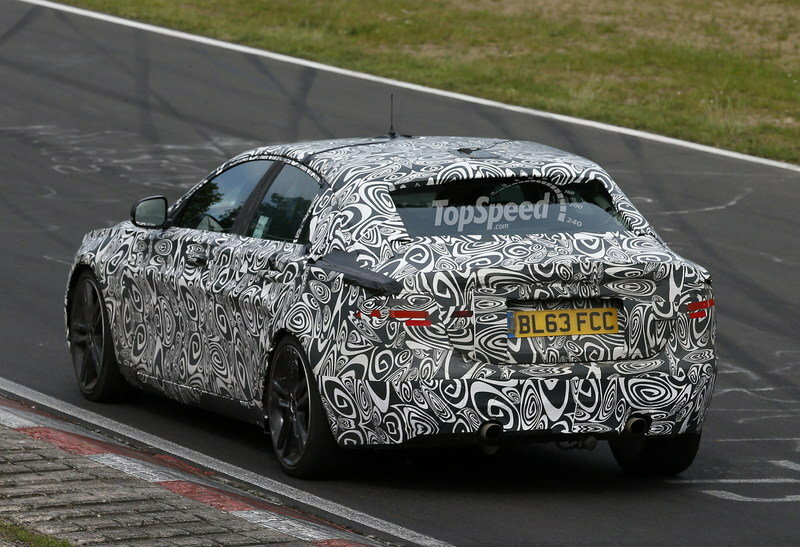 Dubbed RC 5754, the new material will expand across the Jaguar lineup by 2020. The compact’s cabin is clean to look at, but in doesn’t appear to lack the luxury needed to compete against its German rivals. Sure, it lacks the presence of the Mercedes-Benz C-Class’ cockpit, but its driver-focused character becomes obvious once you look at the center console separating the front seats. Although sporty, the interior exudes a sense of high-quality thanks to its traditional wood veneers, aluminum and piano-black inserts and finishes. The brand new XE is available with one of two brand-new infotainment systems – dubbed InControl Touch and InControl Touch Pro. InControl Touch has an eight-inch touchscreen and supports Bluetooth, audio streaming and Bluetooth connectivity. Navigation and voice control is also standard on the InControl Touch system. InControl Touch Pro is far more advanced than the basic system, featuring a quad-core processor and high-speed solid state drive. Added to that, the system is connected to the vehicle with ultra-fast Ethernet networking cable. According to Jaguar the system is up to five times faster technology in competing models. The system is controlled by a 10.2-inch touchscreen that can be customized with widgets and custom home screens. It is also capable of multi-tasking like most smartphones, which means media can be streamed on half of the screen and navigation on the other half. The system is also equipped with dead-reckoning functionality that can analyze sensor data and accurately provide directions, even if GPS signal is lost during a commute. You may have noticed that there is no V-8 engine option, but give it time. Jaguar won’t let BMW, Audi and Mercedes have all the fun in the compact super-sedan range. Expect the same 5.0-liter supercharged V-8 from the other Jaguar models to find its way into a Jaguar XE R model in the next few years. 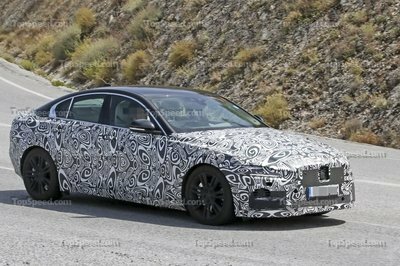 To enable the XE to become a suitable competitor for the BMW 3 Series and Mercedes C-Class, Jaguar has developed a brand-new suspension for the sedan. On the rear, the XE is fitted with an integral-link suspension system that brings major improvements over the conventional, multi-link design, according to Jaguar. Specifically, the system is tuned to provide better lateral and longitudinal stiffness, which will translate into sharper response and handling, and a more comfortable ride. With many of its components forged or hollow-cast in aluminum, the integral-link suspension is also lighter than a multi-link unit. Up front, the XE gains a double-wishbone suspension based on the design implemented on the F-Type sports car. The unit is mounted to a subframe with aluminum towers and includes many components found in both the F-Type and the XFR sedan. Also made from cast and forged aluminum, the front suspension provides the XE with additional stiffness and XFR-like agility, while reducing overall weight. Helping the brand-new suspension provide the necessary grip on slippery surfaces is Jaguar’s all-new All Surface Progress Control feature. Brand-new in its class according to the Brits, the technology works like a low-speed, cruise-control system and prevents the vehicle from skidding in slippery road conditions. 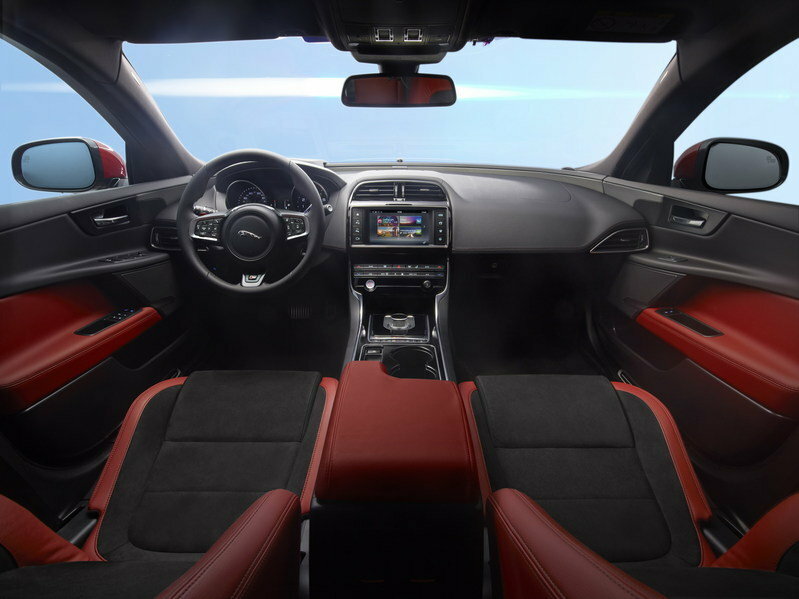 The new XE will be equipped with a new system called All-Surface Progress Control. Basically it works like a low-speed cruise control that functions between 2 mph and 19mph to precisely control the braking and drivetrain for optimal traction on all road conditions. Laser heads-up display is optional and an available automatic emergency braking system can help prevent or lessen the seriousness of accidents. A lane assist system is also available that can help keep the vehicle in lane, if the system determines the car is drifting into another lane unintentionally. A drive control monitor is able to monitor inputs from the driver, like brake and throttle application as well as steering control to determine if a driver may be “tired.” If the system determines the driver is at risk of falling asleep at the wheel, the system provides multi-stage warnings via the instrument panel to suggest taking a break from the road. Other systems include adaptive cruise control, closing vehicle sensing, blind spot monitoring and park assist. The king of the segment has not been as big of a benchmark setter over the last couple generations, but there is still no denying that the 3 Series is the class leader. The German sedan is available in many guises in the United States, starting with the 320i, which is powered by a 2.0-liter four-banger rated at 180 horsepower. Next up is the 328i, motivated by the same unit but this time with 240 ponies on tap. Whether Jaguar is bringing its diesel XE to the States is unknown, but BMW already has on oil burner this side of the pond. 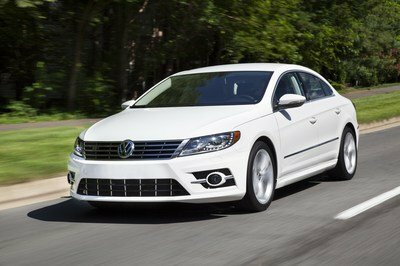 The turbo-diesel, 2.0-liter, four-cylinder generates 180 horses and claims to return up to 45 mpg on the highway. The range-topping model is the 335i, the only version powered by the 3.0-liter inline-six powerplant. The 335i is also the most powerful of the range with 300 horsepower. 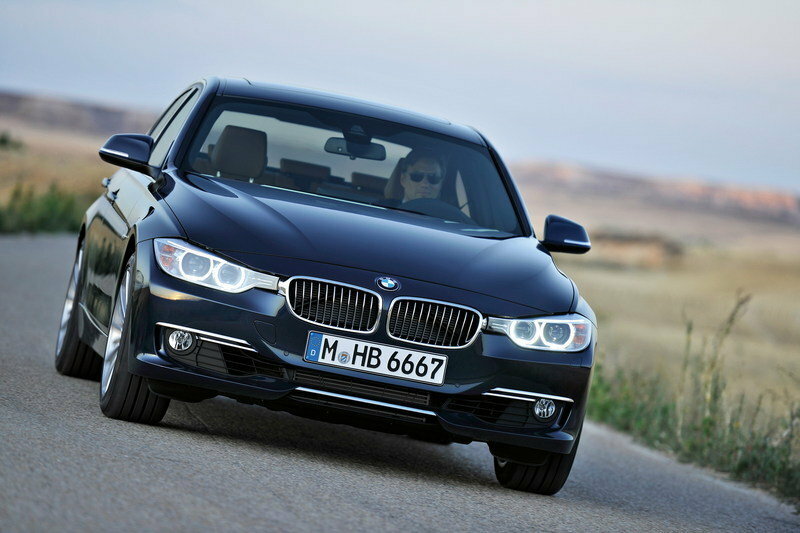 Pricing for the BMW 3 Series begins from $32,750 and goes into the $43,000 range with the 335i. Although some might argue that the A4 is a tad dull when it comes to design, the sedan has plenty to offer as far as luxury and technology goes. Even BMW has a hard time keeping up with the Ingolstadt-built sedan, with only the C-Class being equally impressive on the inside. 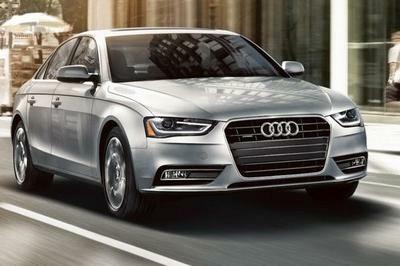 Engine-wise, the A4 can only be had with a gasoline, 2.0-liter, four-cylinder Stateside. The mill generates 220 ponies and 258 pound-feet of torque, which translates into a 0-to-60 mph sprint of 6.6 seconds and a top speed of 130 mph. Those looking for more oomph will have to go with the S4. The performance sedan comes with a 3.0-liter, six-banger rated at 333 horsepower and 325 pound-feet of torque. The 0-to-60 mph sprint drops to 4.9 seconds, while top speed increases to 155 mph. The A4 retails from $35,500, while the S4 fetches at least $48,400, making it the most expensive of the bunch. If Jaguar has proven anything over the last few years, it is that it can build very competitive cars that match their competitors in power and usually win in looks. Fortunately, the XE is no exception, and it appears the German sedans are about to get a run for their money. Diesels might not make it to the U.S.
3:00 PM EDT: The Jaguar XE is about to be unveiled. Stay tuned for live updates! 3:02 PM EDT: Jaguar’s current lineup hits the stage. The XE should drop in any time now! 3:10 PM EDT: The Brits look back on their successful history and bring the 1948 XK120 onto the stage. 3:15 PM EDT: The showcasing of classic Jaguar models continues with the Mark 2 saloon and the gorgeous E-Type. 3:30 PM EDT: The Jaguar musical continues as the Le Mans-winning D-Type and its street-legal counterpart, the XK SS, are being introduced. 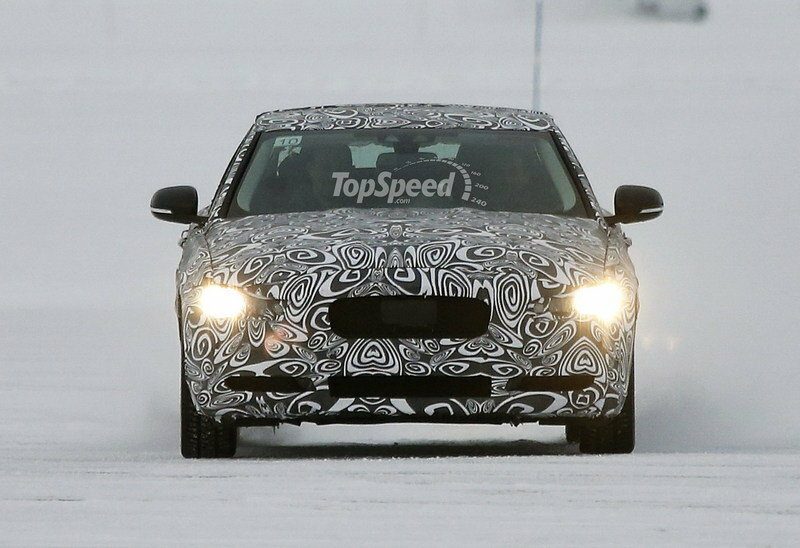 3:35 PM EDT: We already have photos of the XE, although Jaguar has yet to show it live. Check them out in our photo gallery section. 3:36 PM EDT: The range debuts with the XE S. The sedan is powered by a supercharged, 3.0-liter V-6 that generates 340 horsepower and 332 pound-feet of torque. 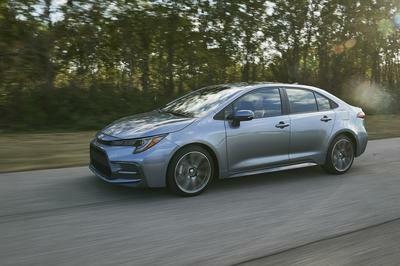 2.0-liter, four-cylinder gasoline and diesel engines will be offered as well. The first diesel to motivate the XE delivers 161 ponies and 258 pound-feet. 3:42 PM EDT: Kaiser Chiefs comes on the stage for a short performance. 4:00 PM EDT: The XE finally shows up in a video showing its road to the venue. 4:03 PM EDT: The sedan drives onto the stage escorted by two Mark 2 police cars. Behold the XE, Jaguar’s long-awaited answer to the BMW 3 Series! Updated 09/03/2015: Jaguar announced prices for the new XE which will arrive in North American showrooms spring 2016 as a 2017 model year. 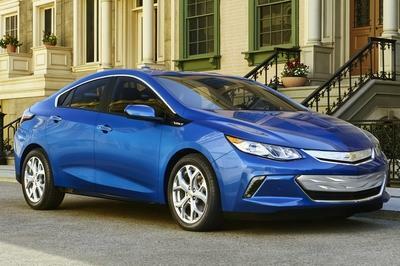 The model will be offered in three trim levels: 25t, 20d and 35t with prices starting from $34,900. Updated 10/01/2014: Jaguar unveiled the official details on the entire XE lineup, plus a series of new images and video. Enjoy! 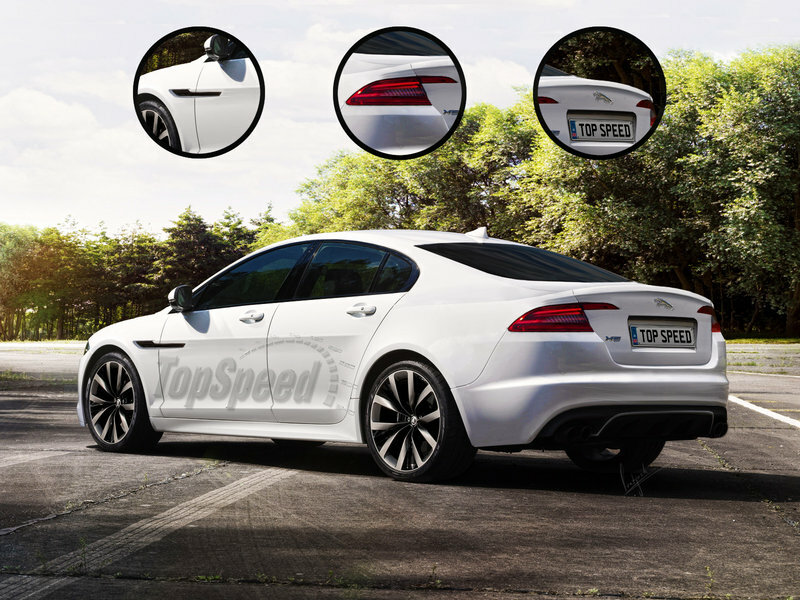 Updated 03/17/2014: Today we have created some renderings for you for the upcoming Jaguar XE compact sedan. Check them out after the jump. Updated 04/02/2014: Jaguar released some information on the XE on its international webpage stating the 2016 XE will borrow the F-Type’s V-6 engine. No details were offered on the output level, but for sure will be something close to the output level offered in the F-Type: 340 horsepower in the base versions and 380 horsepower in the S version. Updated 07/15/2014: Jaguar officially announced that the all-new XE will be officially unveiled in London on September 8th, 2014. Also, the model will offer a "lightweight construction expertise and sophisticated chassis technology in addition to the new family of Ingenium engines. Details after the jump. 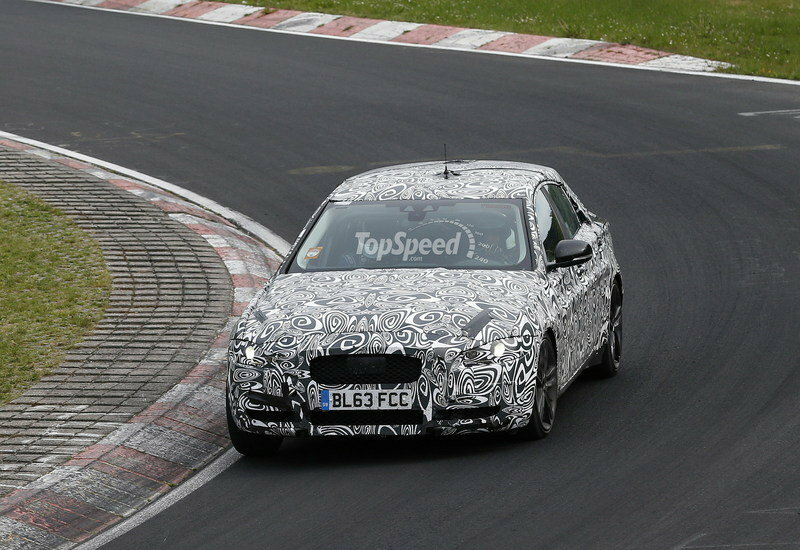 Updated 07/29/2014: Jaguar unveiled new details on the future XE sedan, this time focusing on the car’s new lightweight, aluminum-intensive construction. Details after the jump. 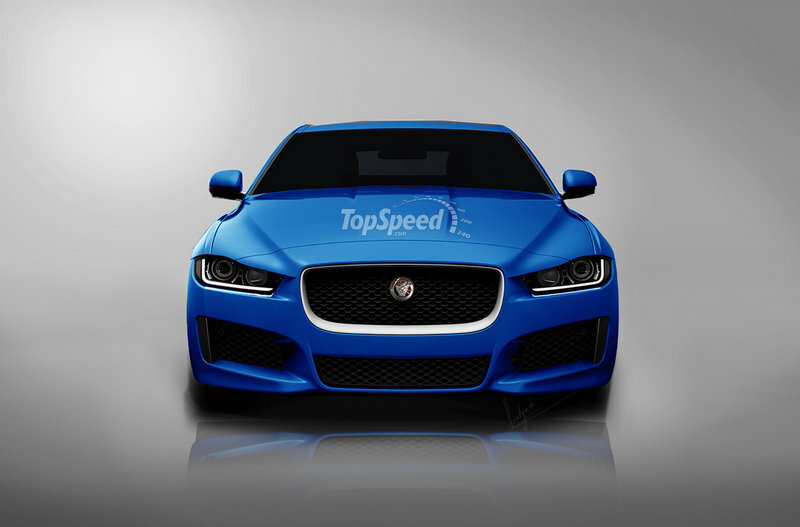 Updated 07/30/2014: Jaguar unveiled a new image that reveals the front end of the new XE sports sedan. The new image is part of a new project called FEEL XE that will start on September 8th, 2014 and will feature Emeli Sandé. 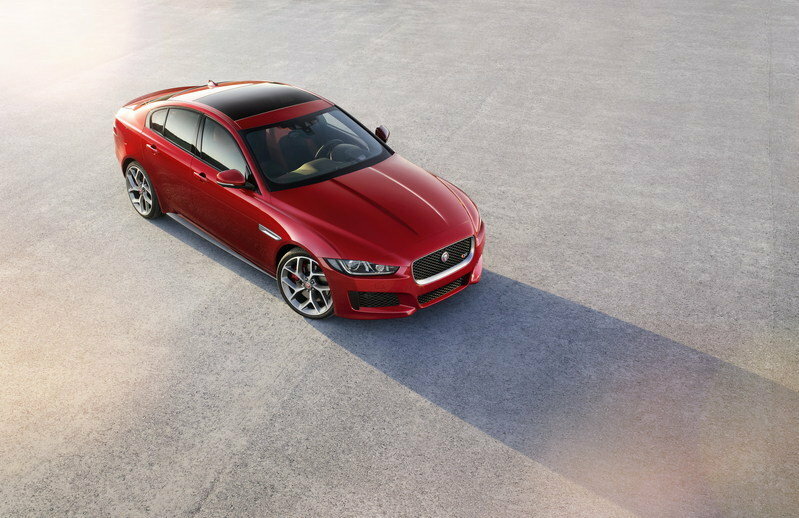 Updated 09/04/2014: With just a few days before its official debut, Jaguar unveiled a new teaser video for the future XE sports sedan. 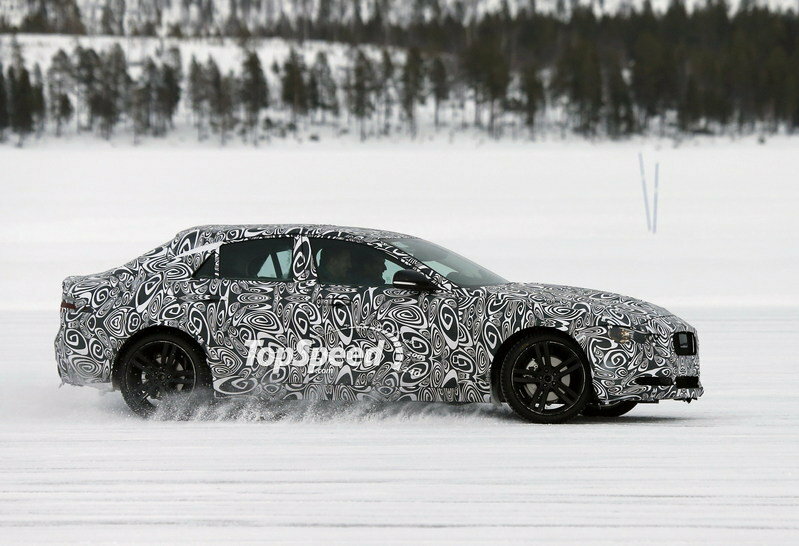 As expected, the 15-second video reveals nothing new about the sedan, but we should get all the details soon. Stay tuned! Updated 9/8/2014: Jaguar will finally unveil the much-anticipated XE Sedan today (9/8/2014) at 2:15 p.m. EST. You have two choices of where to watch it. You can watch Jag’s live stream HERE or you can watch the live feed above. Either way, we will bring you minute-by-minute updates. Updated 9/8/2014, 01:30 PM: You can now watch live the official unveiling of the all-new Jaguar XE. 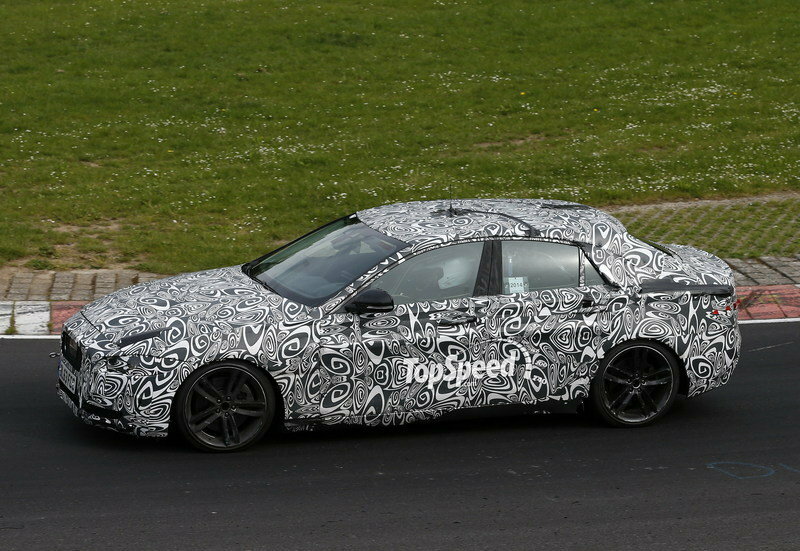 Updated 9/8/2014, 02:01 PM: The first official images of the new Jaguar XE surfaced on the internet. Check them out after the jump. 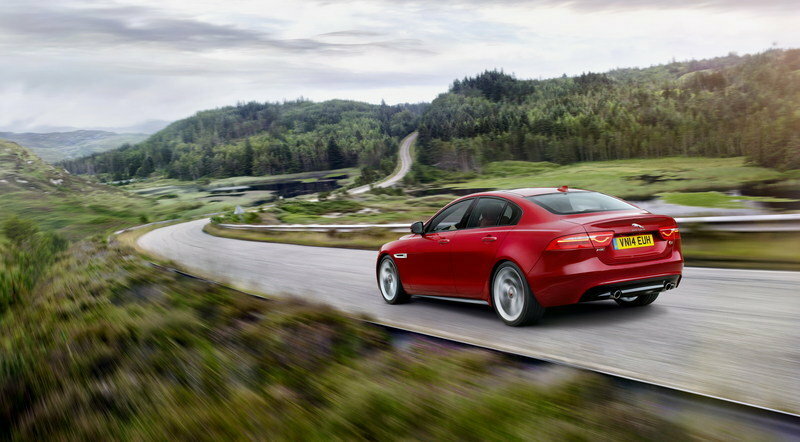 Updated 9/8/2014, 3:00 PM: The official specs and photos of the 2016 Jaguar XE S are in! The performance-oriented sedan is powered by a supercharged, 3.0-liter V-6 that generates 340 horsepower and 332 pound-feet of torque. The lineup will also include brand-new 2.0-liter gasoline and diesel engines from the company’s family of Ingenium engines. The first diesel to be announced delivers 161 ponies and 258 pound-feet. Updated 09/09/2014: Jaguar unveiled a new video featuring Emeli Sandé performing on the Thames during the official launch of the Jaguar XE. 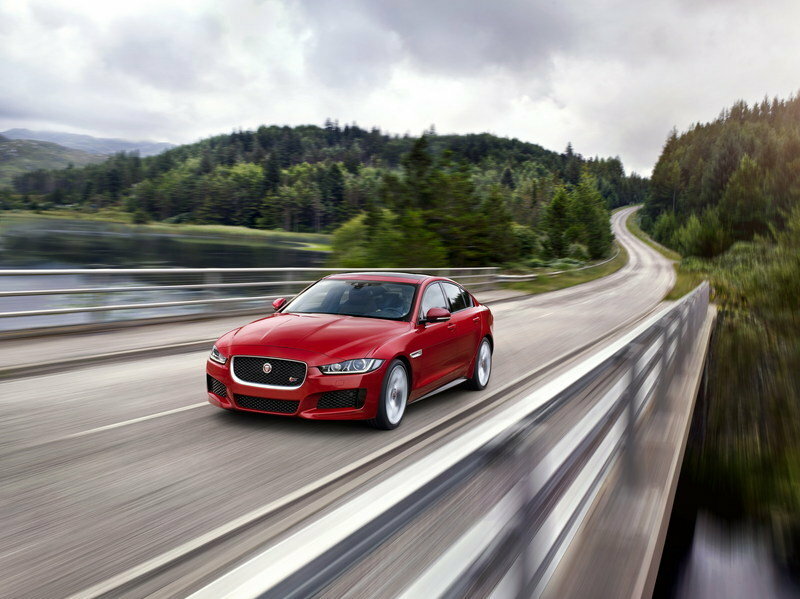 Updated 09/25/2014: Jaguar announced that the all-new XE will be offered with two versions of the 2.0-liter four-cylinder Ingenium diesel engine with output going up to 177 horsepower and CO2 emissions from just 99g/km. Details after the jump. We already know that the tester that we saw out and about was wearing a weird hung on its roof to confuse our spy shooter. However, that was easy to overcome by simply hacking that off and developing a more traditional Jaguar roofline. From the rear, we imagine traditional Jag taillights with upper slivers that cut into the trunk lid. 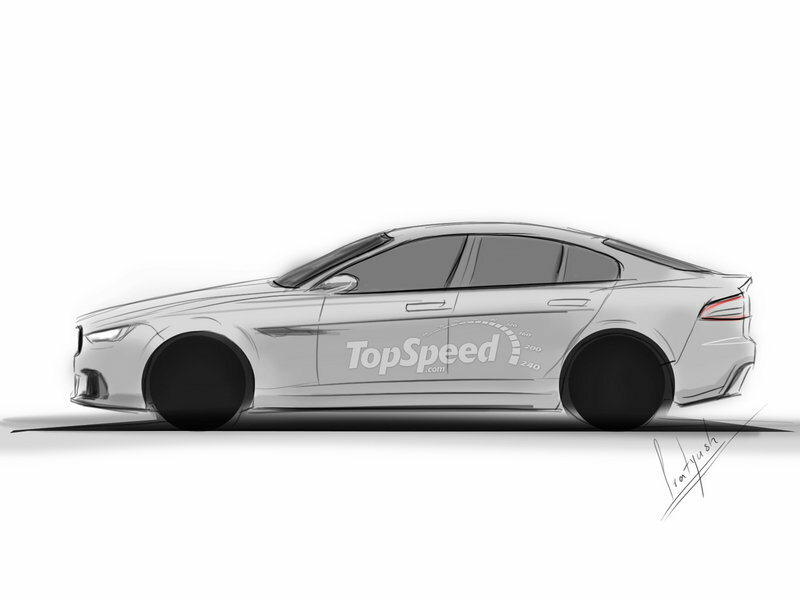 Speaking of the trunk lid, we imaging the XE with an arched lid with a fairly aggressive insert under the rear apron. Up front, things were pretty easy, as there was a lot of sheet metal to play with in the teaser images. The front fenders and the profile view, on the other hand, are completely from the mad imagination of our rendering artist and the spy shots. I, for one, think this looks freaking awesome. "Jaguar’s position as the leading premium manufacturer of aluminium vehicles allowed us to develop a light, stiff body structure that is ground-breaking in its class. It enables the XE’s advanced chassis technologies to deliver an unprecedented balance of agility and levels of refinement previously found only in vehicles from the segments above." The XE S will be joined by other models powered by highly efficient 2.0-litre, four-cylinder petrol and diesel engines matched to smooth-shifting six-speed manual and eight-speed automatic transmissions. 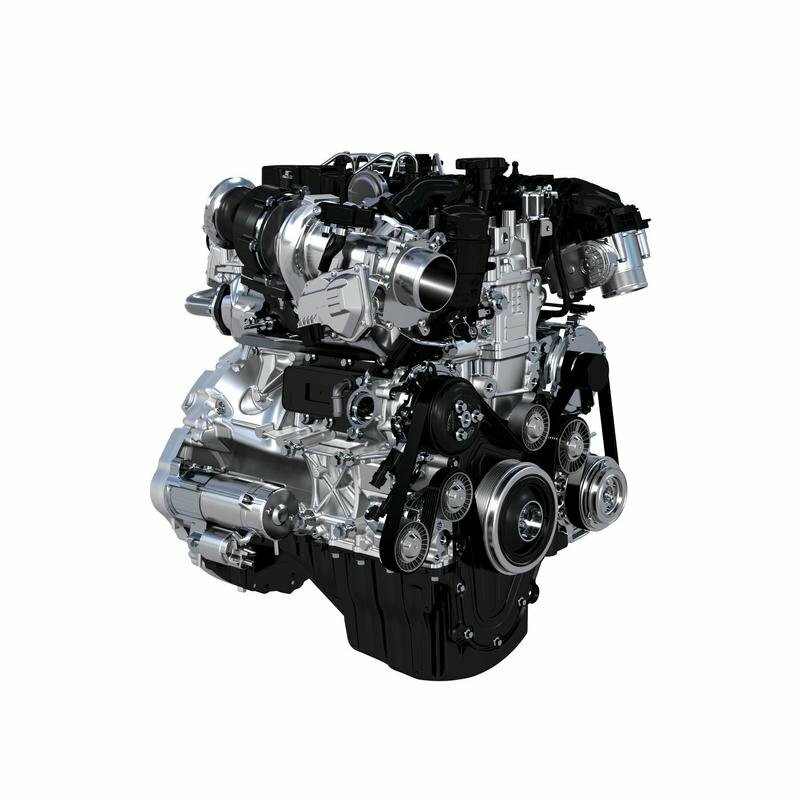 The diesels - part of Jaguar’s all-new Ingenium engine family - provide exemplary fuel consumption and CO2 emissions from 75mpg and 99g/km. Jaguar has a rich history of producing stunning, aerodynamically-efficient cars. The new XE continues the tradition of uncompromised form and function: its streamlined shape has the lowest drag coefficient of any Jaguar yet - just 0.26. This achievement is the result of 1,200 computational fluid dynamics simulations and more than eight million hours of processor time. "Our mission was to create an exciting and dynamic design clearly reflecting the XE’s positioning as a serious driver’s car. The cab-rearward proportions and tight packaging achieve that and give the XE the appearance of movement even when it’s standing still. It bears a strong family resemblance to the F-TYPE and will stand apart in the crowd." 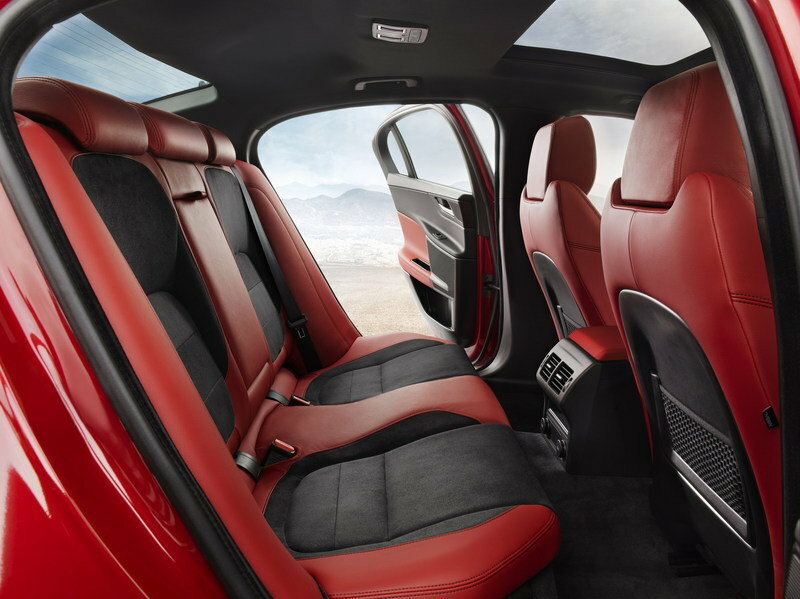 Front and rear seat occupants enjoy generous amounts of head and legroom - the XE proves that sleek, streamlined styling and interior space need not be mutually exclusive. Technical fabrics, fine-grain leathers and details such as contrasting twin-needle stitching give the cabin a bespoke quality. The choice of gloss black, textured aluminium, and contemporary wood veneers enhance the luxurious, hand-crafted feel. Ambient lighting in a range of up to 10 colours adds to the sense of occasion. Much of the aluminium is high-strength, 6000-series alloy. The bodysides are a perfect example: these complex pressings are formed in one piece, and what would once have been 1.5mm gauge sheet has been reduced to just 1.1mm - with no loss of stiffness. Sustainability is a big part of Jaguar’s aluminium story. Recycling this highly valuable material delivers impressive savings in overall CO2 emissions and the new XE is the first car in the world to use RC 5754 - an aluminium alloy made predominantly from recycled material. Future models will also use RC 5754 and this breakthrough will help Jaguar towards its goal of using 75 per cent recycled material by 2020. 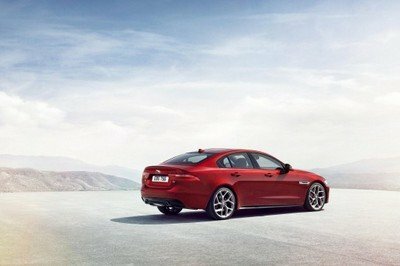 "The XE is as strong and light as it could possibly be thanks to exhaustive analysis and by bringing the latest engineering techniques to bear on its design. It has been challenging to accomplish but the XE’s structure is absolutely at the cutting edge of what is achievable today." Electric power steering (EPAS) offers incredible tuning potential and greater energy efficiency than traditional hydraulic systems but Jaguar’s engineers have not considered the technology sufficiently mature - until now. "The introduction of electric power steering was a big step but one we were able to take confidently. The almost infinite range of possibilities it provides in fine tuning has enabled us to achieve the responsive, connected steering feel we require in a Jaguar - without compromise." Jaguar is one of the first manufacturers in the segment to use stereo camera technology. This state-of-the-art sensor is the ’eyes’ of the XE’s autonomous emergency braking system, providing highly accurate measurements of speed and distance of objects ahead, and can initiate full braking to avoid or mitigate a collision. Smartphones are changing the way people interact with the world around them so the new XE ensures that drivers always stay connected. The car functions as a Wi-Fi hotspot, enabling multiple devices to connect to the internet - the vehicle antenna provides the best possible signal. "For up-to-the-minute parking information, to conference calls, hotel bookings to traffic warnings, InControl Apps can all be accessed with a touch of the screen. Simplifying your connected experience without compromising your interactive options: the new XE is a technologically-advanced step you’ll want to take." Jaguar is launching the XE with a new family of world-class engines - Ingenium. This advanced in-house modular design began from a clean sheet and is manufactured at Jaguar Land Rover’s new £500 million UK Engine Manufacturing Centre. "Ingenium is a new family of compact, lightweight, low-friction, low-emissions engines that will deliver both the efficiency and performance that our global customers desire. Ingenium will make the new XE the most fuel efficient Jaguar ever - and the greenest." Ingenium diesels will also be available with a highly efficient six-speed manual - low viscosity oil and pseudo dry-sump lubrication cut parasitic losses. 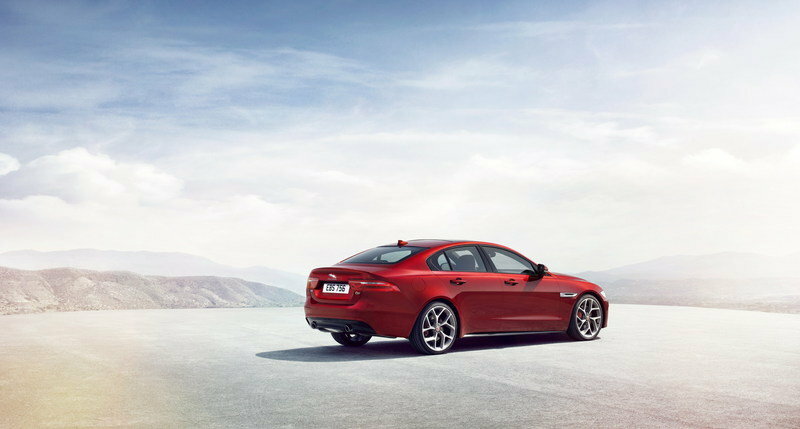 All of the XE’s transmissions are characterised by exceptionally smooth, quiet shifts. The new XE is not only the most fuel efficient Jaguar ever made, it’s also one of the most cost-efficient cars in its class. With CO2 emissions as low as 99g/km, the XE attracts low levels of vehicle taxation in many countries - and is even exempt in others. Jaguar Land Rover is on track to meet its 25 per cent reduction in fleet average tailpipe CO2 emissions - and the new XE is an integral part of this strategy - but the focus on sustainability goes much further. 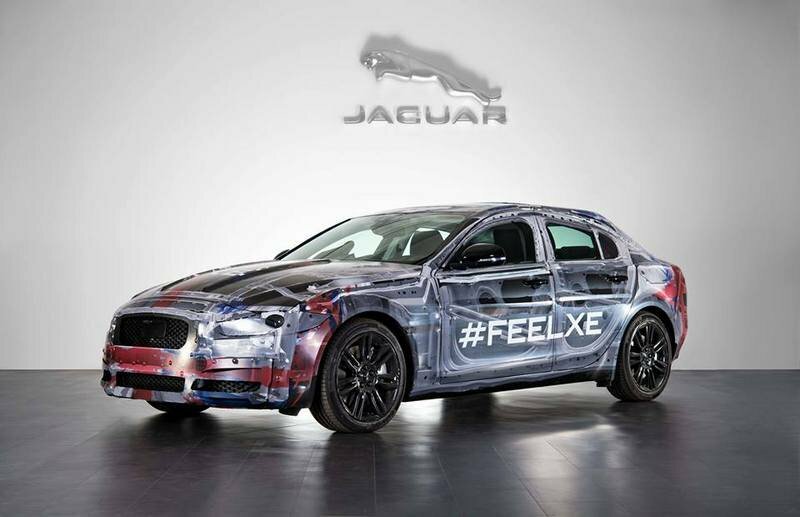 Riveting and bonding the XE’s lightweight bodystructure consumes less energy than traditional spot welding. And the use of recycled aluminium - in particular the new RC 5754 grade - reduces demand for primary aluminium, saving even more energy. The XE also contains 46kg of recycled plastics and renewable materials, reducing its environmental impact still further. With the new Ingenium diesel engines driving the rear wheels, the aluminium-intensive XE is the most fuel-efficient Jaguar yet, with CO2 emissions from just 99g/km.The Ingenium range is produced at the new £500 million, 100,000m2 Engine Manufacturing Centre in the West Midlands in the UK. Engines will come off the fully flexible lines at rates of up to one every 36 seconds. Starting from a clean sheet meant that Jaguar’s powertrain engineers could make the Ingenium engines as light and efficient as possible, and deliver the blend of power, torque and smoothness customers expect. These state-of-the-art engines were proven over 2 million miles of real-world testing. The low friction, all-aluminium units have stiff cylinder blocks and twin balancer shafts to ensure inherently low levels of vibration. Details such as the acoustic sump cover, decoupled injectors, and 0.5mm ovality on the injection pump drive sprocket contribute to the Ingenium’s exceptional quietness. 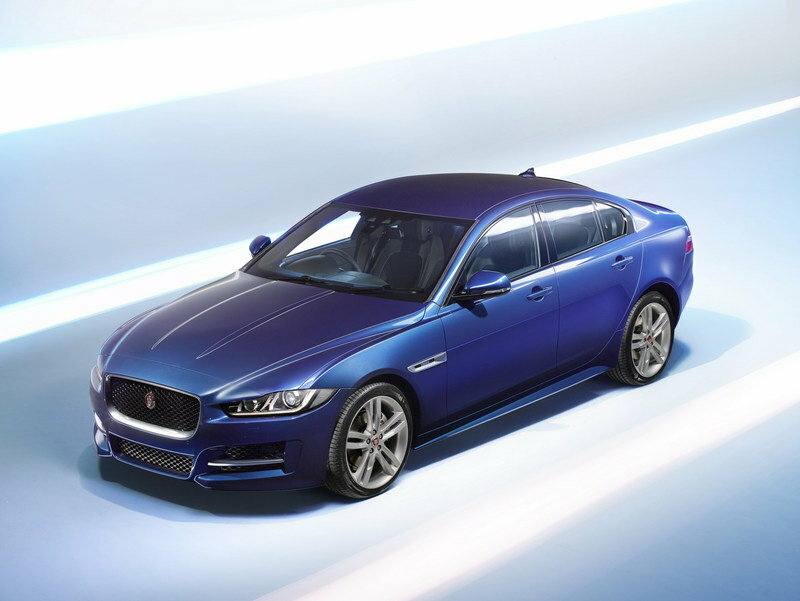 The new XE will feature two versions of the 2.0-litre Ingenium diesel. The first, rated at 163PS/380Nm, delivers benchmark efficiency figures of 75mpg and 99g/km CO2 without any compromise to launch performance or mid-range acceleration. The 180PS/430Nm variant has one of the highest torque outputs in the class. Ingenium diesels meet Euro 6 are as clean as they are efficient. Variable exhaust valve timing shortens the catalyst light-off phase and also improves diesel particulate filter (DPF) regeneration. The cooled low-pressure exhaust gas recirculation (EGR) system reduces combustion chamber temperatures, inhibiting NOx formation. 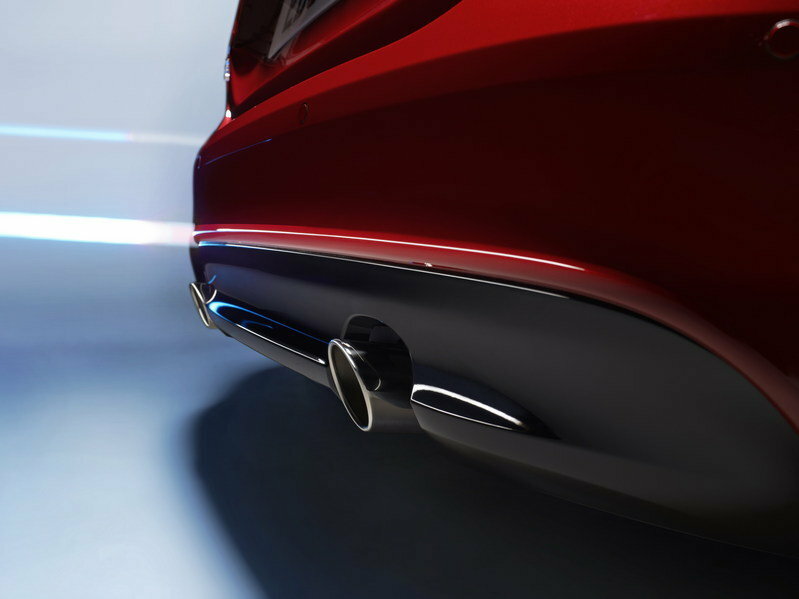 Selective catalytic reduction (SCR) technology cuts NOx emissions to very low levels and the new XE has been engineered to meet the most stringent global regulations. The Ingenium diesels will be joined at launch by powerful, efficient, direct-injection petrol engines: turbocharged 2.0-litre four-cylinders and the outstanding supercharged 3.0-litre V6.